Charlottesville, VA - Ronald Lewis Guyton died peacefully on November 11, 2018 at the age of 80. He passed away at Rosewood Village in Charlottesville, Virginia, comforted with family by his side and surrounded by love. Ron grew up in Pewee Valley before moving with his family to Tennessee, during his high school years. He then returned to the Louisville area, where he attended and graduated from the University of Louisville and was a member of the Army ROTC. It was also during this time that he met his future wife, Sandra Thompson of Louisville. After graduating from college, Ron was commissioned as an officer in the Air Force. He served honorably for 21 years in a career that took him all over the United States, as well as temporary duty locations overseas, including Bandar Abbas, Iran, where he served for 12 months as the highest-ranking American Officer on base. During his time in the Air Force, Ron led multiple national security priority programs. Upon retiring from the Air Force as a Lieutenant Colonel, Ron spent the next 26 years supporting the Department of Defense as a civilian contractor, including the last 6 years as a Director with Northrop Grumman. Ron's greatest joys revolved around his family. He was a devoted husband, and he made the most of his roles as a supportive father and loving grandfather. In his spare time, he enjoyed playing golf, camping, photography, working in his yard, and traveling. 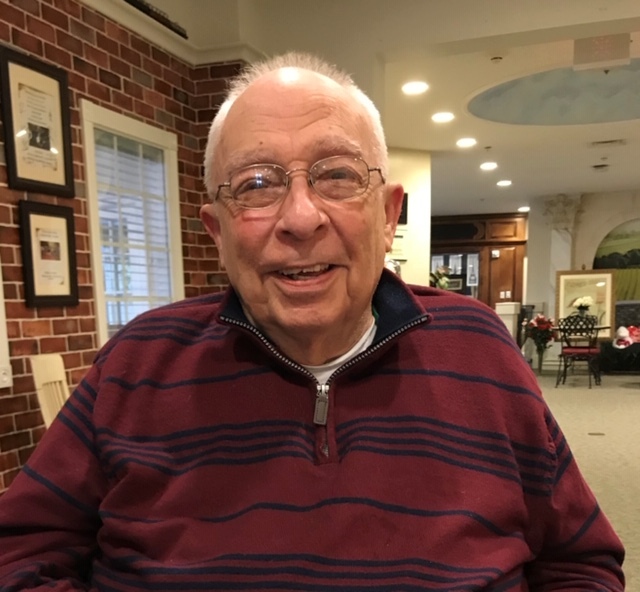 He played a mean game of Progressive Rummy, enjoyed watching his beloved Green Bay Packers and Washington Nationals, and had a smile for everyone. He was fondly called "Ronny" to those who knew him the longest. Ron was preceded in death by his brother James C. Guyton, mother Georgia C. Guyton, and father Lewis C. Guyton. Ron is survived by his wife, Sandra J. Guyton, their daughters Karen L. and Kathy A. Guyton, their son Ronald C. Guyton and his wife Kellyn E. Guyton, and his grandchildren Sam Guyton, and Cole Guyton. Visitation will be at Stoess Funeral Home in Crestwood from 3-8pm, November 16, 2018. Funeral services will be at 1 pm on November 17, 2018 at the Crestwood Christian Church, followed by burial at Floydsburg Cemetery.